Sure we all follow those famous News blogs to stay updated about the latest technology introduced in the market. The day of any tech savvy person starts with the latest news on their favorite blogs and this becomes a necessity for those who own a blog in the same niche or maybe a related niche and want to be able to out the news to their readers. This is also important for those who are or want to be regular potential contributors to World’s best Tech News Blogs/Magazines. These blogs demand a news story that is fresh, extraordinarily written, complete and concise. Of course an old topic can be presented with new twists but the twists should be perky enough to encourage the readers to check it out anyhow. 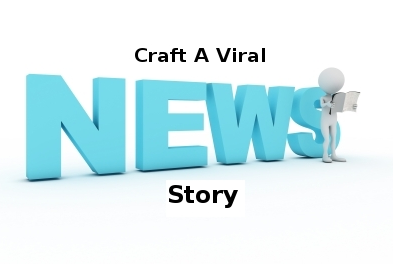 A viral story can be created only if you are smart at story writing and don’t mind experimenting with the news. Here are few tips on how can you prepare a peppy story and submit it to the News Blog you dream of. You must be following a dozen of news sources to get the maximum out of the recently hot topic. Sometimes you are engrossed by these news blogs so much that you may end up copying their story crafting style which is alarming for your writing skills. Don’t lose your ideas and your way of presenting a particular story. For instance, you found out about a news fact which says about a new update in android technology. Of course you can’t differ from mentioning the vital points about the update but you can present the story with your own agenda or opinion. For example you can talk about how this update will affect the usage of android phones or what would be the next update like. Complete study of your news source is a necessary step so that you know what needs to be said but in a different way. Actually knowing the host for your story is even more important step to be followed. You definitely figure out first for whom you want to write the story, targeting that host News Blog you need to study the story formats and styles this Blog portrays and then craft a story accordingly. The News Blog will feel a connection with your story and the chances of its getting accepted will increase. There is least possibility that you create stories on all subject categories. Everyone has a special interest in a category or two. Find what sectors of Technology interest you most like Blogging, Social Media, Tech Tips, New Gadget arrivals, Technological updates, Online Marketing and more. While preparing a news piece your content should be specific in explaining one or two categories at a time and if it’s a comparative study then you can paint your research and writing skills as you wish. You need to keep a strong eye on whatever is happening in the Tech industry. Since changes are seen everyday in this category you can write as many stories as you wish with a fresh approach. The title of your story should be complete and factual. It should clarify the core content of your story and should be of maximum impact. A clever headline can give you the edge, how? You know that your story is worth fetching great amount of traffic and if are in competition with other related stories, a cleverly crafted headline along with a perky sub-heading can draw more readers easily. An ideal Title should range between 3 to 20 words only, because technically titles in this range get crawled properly. About pictures, should be related of course, if it’s a technical How-To story on a new OS update or Newly launched device you should include an introductory image along with screenshots for every how-to step. Screenshots make it even more relevant and connecting. If it’s a story on other topics like social media or blogging tips then you can use humorous yet related images to draw all the eyeballs towards your story. You might have studied various Tech News Blogs for your research on different technological pieces available in the market, where you might have noticed that the content is not too lengthy but concise and just enough to explain the tech piece it’s talking about. To submit a news piece you need to do the same, of course you can go with your writing style I mean you have to but you need to prove your point in as few words as possible. It should be precise but descriptive enough to help people understand what’s your opinion on that particular Recent News. Adding a tutorial or introductory video can be a smart move as it will automatically add value and make your content rich. Do you know that the last paragraph of any article is called Kicker in journalism and rightly so because the conclusion of a news story can build a large reader base if rounded off smartly. You need to do it in a way that people recommend it. You should be clever enough to ask people their opinion or let them raise questions and comments on your story. This will make it viral and the story will publicize on it’s own. I’ll call it effortless work.